A team of about twenty opinion leaders have been elected to lead election monitoring in Kibra and Karen/Langatta constituencies. The leaders were elected in a forum organized by Map Kibera Trust, on 24th of October 2012 at Mchanganyiko hall, in Kibra constituency. During the forum (KNN coverage on youtube), participants identified issues to be monitored, and suggested to host debates, where the aspirants contesting various positions will be interrogated. The aspirants will be required to explain to the citizens their manifestos, ideologies and plans. Map Kibera Trust executive director, Kepha Ngito said over 60% of all Nairobi residents stay in slums, and stressed the need for the citizens to embrace Citizen Journalism to tell the world the happenings around them during the election period. 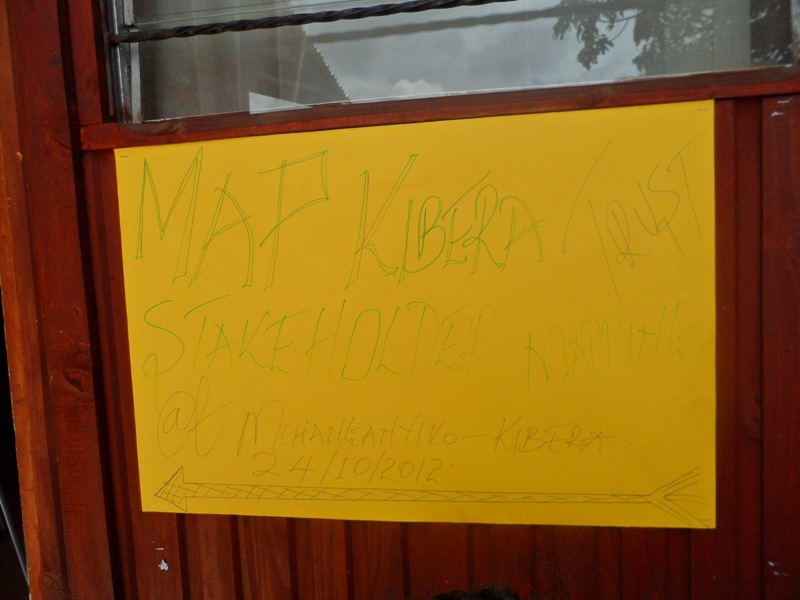 “Map Kibera Trust exists to amplify citizen’s voices”, said Kepha. He added election monitoring team will be tasked to monitor what the main stream and local media will be reporting, the happenings at the polling stations during election, security concerns and political leaders’ utterances, before, during and after elections. Kepha also mentioned the need to dig deeper into election related violence, and unearth what key institutions and leaders are doing, their roles, failures and successes. Pamoja FM programs manager, Philip Muhatia, said there was need for reporters to adhere to journalistic ethics to avoid what happened in 2007/2008 post election violence. Muhatia also advised the forum to identify who they were reporting to, since media influence could as well fuel conflicts. Participants pointed on the need to create structures where classified contents from the community will be directed. Others suggested the creation of other advocacy tools to help to amplify their voices. 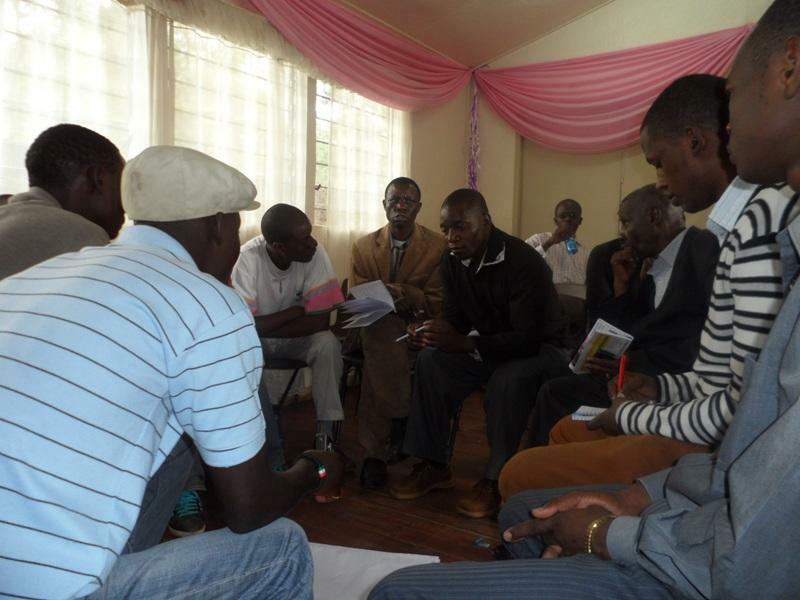 Among the tools suggested were the Umande Trust dialogue forums between the community and political aspirants, Kibera Mirror newspaper, Pamoja FM, Mtaani Insight and the current Map Kibera available tools. There was also a suggestion to harmonize the work of different Civic Society Organizations doing similar things in Kibera. They also suggested development of a memorandum to be signed by all political leaders outlining their commitments on fostering peace. If you are interested in reading more details, the we have posted the Stake Holders Forum Report. 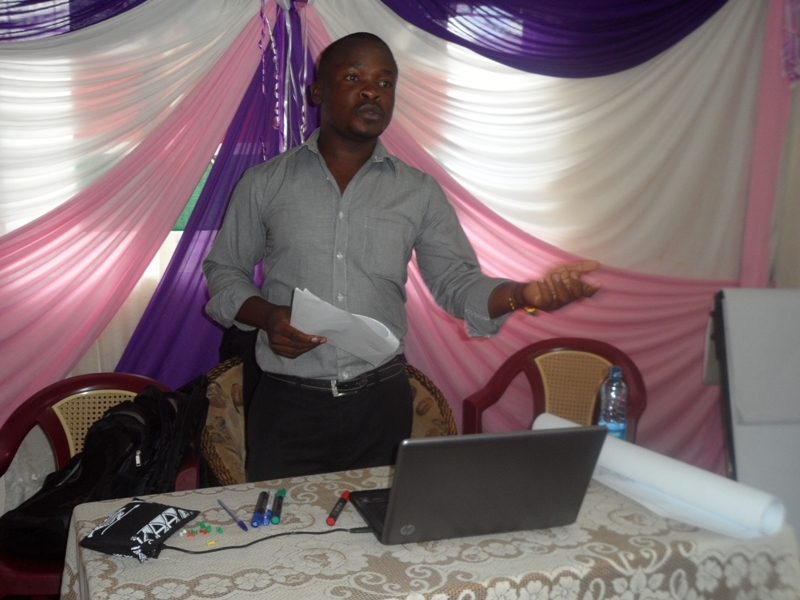 You are currently reading Opinion leaders nominated to lead election monitoring at Map Kibera.